Twenty dollars a week may not sound like a lot, but over a month that is eighty dollars of savings. And over the course of a year it adds up to a delightful $1,040. It’s hard to resist savings like that. 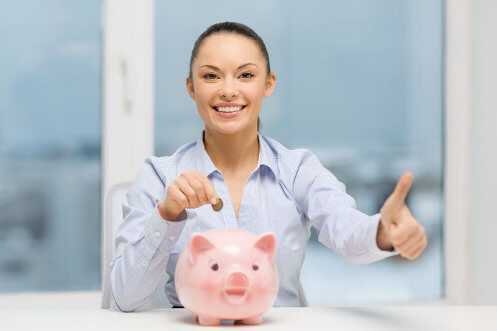 Check out a few awesome ways that anyone can save $20 every month. If you spend only $2 for a morning coffee and you cut out five coffee purchases each week, you’ll have already saved $10. If you spend $4 or more on coffee and cut out 5 purchases each week, you’ll have saved your entire $20 for the week. Instead of purchasing coffee every day, make coffee at home some mornings and bring it with you. Invest in a travel mug that is large enough for the coffee you’ll need for most of the day. Do you drive everywhere? Investigate all of the places you drive and find out if you can realistically walk some of those places. If saving a couple dollars each week on gas isn’t enough to get you out of the car, maybe burning calories will be more of an incentive. Just because you have a car doesn’t mean you need to use it every single day for every errand. Do you buy food only to have it go uneaten and then thrown out a month later? When you carefully plan out meals you know exactly what you’re going to need for the week ahead. Instead of buying six carrots “just in case,” you can purchase only three because you know exactly what you’re doing with them. If you plan out all meals and snacks for the week you are only purchasing what you are going to need. In the event you have leftovers at meals, you can save them for lunch the next day (you can also plan this) or you can freeze the meals for the next week. If you have an event to go to for which you need a new outfit, instead of buying one, check with friends to see if they have something suitable. Chances are someone will. This same idea goes for books and DVDs. You can borrow from friends and family or from the library. Before you invest the money in a new video game, borrow a copy from a friend or a rental place. It’s better to put a few dollars into test-driving it before you shell out a lot of money for something you many or may not like. Saving twenty dollars a week doesn’t have to be a struggle. You can still enjoy the things you normally do, just a different way. When you start seeing your savings add up you’ll realize the changes are well worth it in the end.